Before we get into the swing of the new year—which is sure to bring new projects, new teammates and new challenges—let’s take a moment to reflect on highlights from 2017. Here’s a look at what happened in G Suite last year. 1. Bringing you the power of Google’s artificial intelligence. Technology continues to change the way we work. This year, we further integrated Google’s artificial intelligence into G Suite so that you can accomplish more in less time. Using machine learning, Gmail suggests email responses. Sheets builds charts, creates pivot tables and suggests formulas. And you can also ask questions in full sentences and get instant answers in Sheets and Cloud Search (in addition to Docs and Slides) thanks to natural language processing. 2. Helping businesses secure their data. Protecting sensitive data and assets is a constant challenge that businesses face. 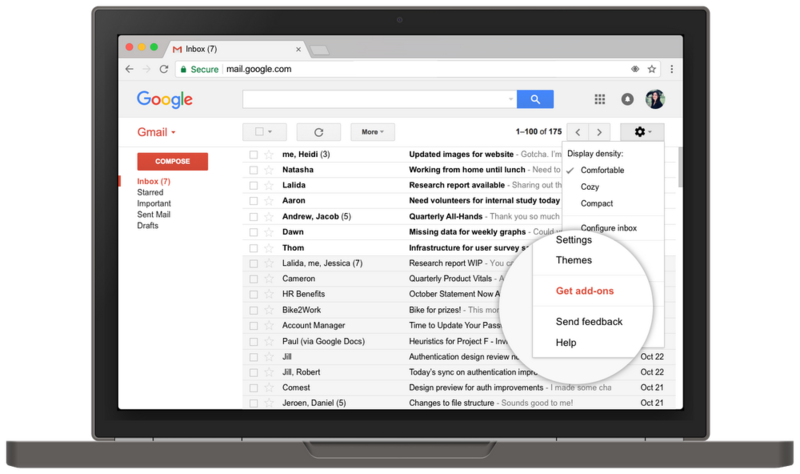 Now, using contextual intelligence, Gmail can warn you if you’re responding to someone outside of your company domain. We also extended DLP to Google Drive to make it easier to secure sensitive data and control sharing. Google Vault for Drive helps surface information to support legal and compliance requirements. And we made it easier for you to manage which third-party apps can access your G Suite data. Check out the G Suite website for more information on how you can transform your business to be security-first (or, try passing along these tips to help prevent phishing attempts). 3. Going all in on meetings. We spend a lot of time on conference calls—for some, 30 percent of their day is spent in meetings—but meetings don’t often reflect how we actually like to work together. To help teams transform how they collaborate, we created a new Hangouts experience for the enterprise, designed cost-effective hardware built for the meeting room, reimagined the traditional whiteboard and introduced an intelligent communication app. Plus, Google Calendar got a makeover and you can use it on your iPad now. 4. Providing enterprise-grade solutions for collaboration and storage. Large enterprises are often drowning in files—files that represent a company’s collective knowledge. Every strategic plan, brainstorm or financial plan is an opportunity to learn more about your business, which is why you need tools to find, organize, understand and act on that knowledge. For years, we’ve been working to ensure that Google Drive meets enterprise needs and last year Google was recognized by Gartner as a Leader in the July 2017 Gartner Magic Quadrant for Content Collaboration Platforms. We were also recognized by Forrester as a Leader in The Forrester Wave™: for Enterprise File Sync and Share (EFSS) – Cloud Solutions, Q4 2017 report, which published in December. 5. Building tools for marketing and sales organizations, even more integrations. We built tools to help marketing and sales organizations create their best work and collaborate effectively, even with other tools that teams rely on. We launched Jamboard, announced a strategic partnership with Salesforce, opened up Gmail to your favorite business apps and integrated Hire with G Suite. These are just some of the ways we’re helping businesses transform the way they work everyday. We’re excited to see what 2018 has to offer.